Discussion in 'Disney Cruise Line Forum' started by AquaDame, Mar 1, 2018. The purpose of this thread is so prices for OPENING DAY can be tracked in one place prior to being viewable online. I will include CASTAWAY CLUB STATUS this time! If you do not say which group you belong to I will assume it is for the current day's opening. Once the prices are available online I will CEASE to include quotes unless I am specifically told in the post which CC status and/or day it was booked. PLEASE only post your prices in this thread, not "in search of". Thank you for your help - it is invaluable to others who can't get quotes for planning their cruises! 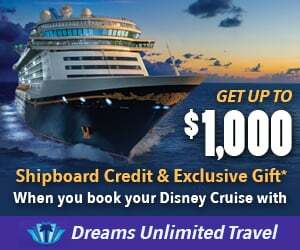 IF A QUOTE WAS POSTED FOR 1A1K, IT IS LISTED AS 2A SINCE THE COST OF THE FIRST TWO PEOPLE IN A STATEROOM IS NOT DEPENDENT ON THE AGE OF EITHER GUEST. slindamood, n2mm, Melissa Cedeno and 5 others like this. Sergel02, iZon and dclpluto like this. G 7A 2A 8785.86 no air/transport/great/OBB. S 9B 2A1K, - $6355 with OBB. Claireywalsh, iZon, dclpluto and 1 other person like this. ChicosWife and iZon like this. How much will it be for the 11 day Southern Caribbean in July, 2019 for 2 people? Deluxe Inside stateroom. ACQUADUCK and AquaDame like this. There are historical price trackers too that can give you a rough idea. Check the the unofficial guides website for an excellent one. I’d add 10% to be on the safe side from last years cosr. I was looking at that one but at 17-20k for 3 adults 2kids in 2 rooms based on historical pricing I opted for telling my TA at DU to go with the 8 day. Do gold and platinum members get any kind of special discount ? Not really - if you have OBB you can use that (but then so can gold/silver) otherwise our only other bonus is having first crack at the lowest prices by booking first. Gotcha. YEah I have OBB, but my Jan cruise was my first so haven't gone through this process. Hoping the 8 day cruise isn't going to be an arm and a leg. Does anyone have the link to last years thread like this, announcing 2018 summer cruises, with the prices listed? This waiting game is killing me! This link is great. You can search specific cruises to see what opening day fares were and how much they have increased. So, it appears no blackout dates. Is this confirmed? For some of these it is possible to check the current price of the 2018 cruise on Disney and compare to the 2017 release date price on Touring Plans to try to judge what it might be, taking into account there tends to be increase. Phones don’t open until 8 I believe. 16 more minutes. ChicosWife, Sarah Slater, JulieODC and 8 others like this. ACDSNY Let the countdown begin! So excited to finally book the Norwegian Fjords as I've wanted to do this one since they came out, but had to retire first. FireflyTrance, Winston Wolf, disneycruisegirl and 8 others like this.